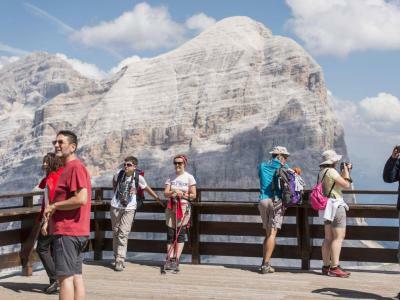 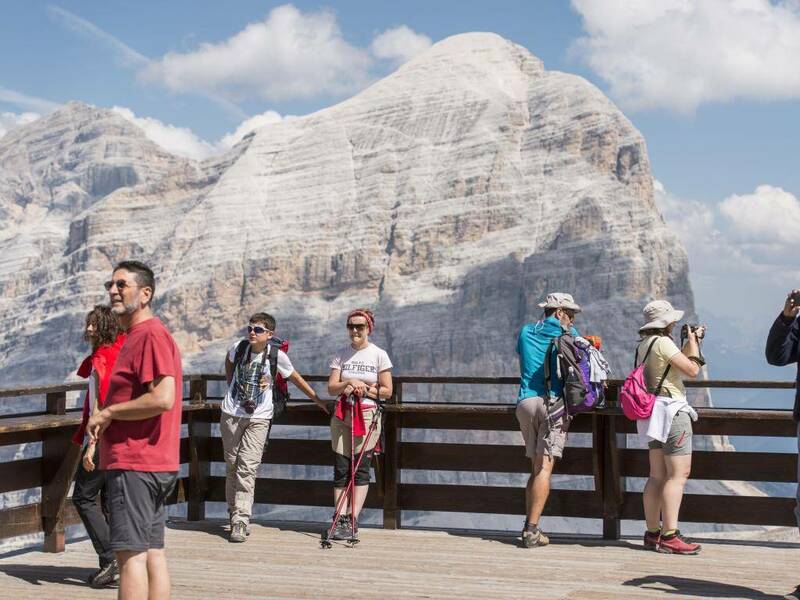 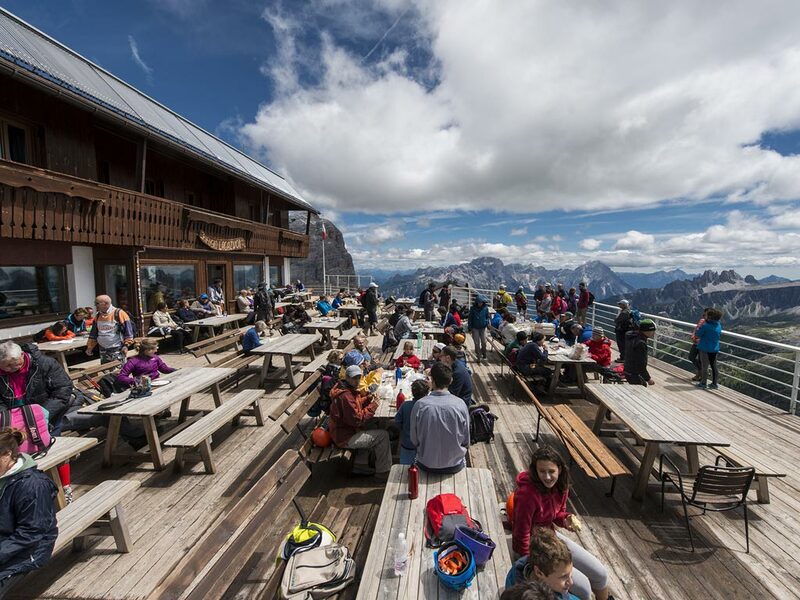 Don't deprive your clients of the most impressive 360 degree panorama of the Dolomites! 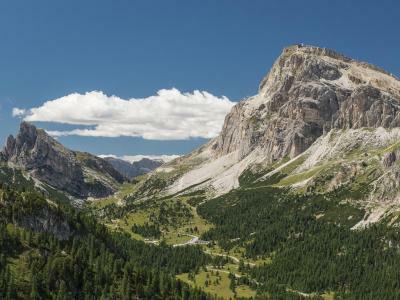 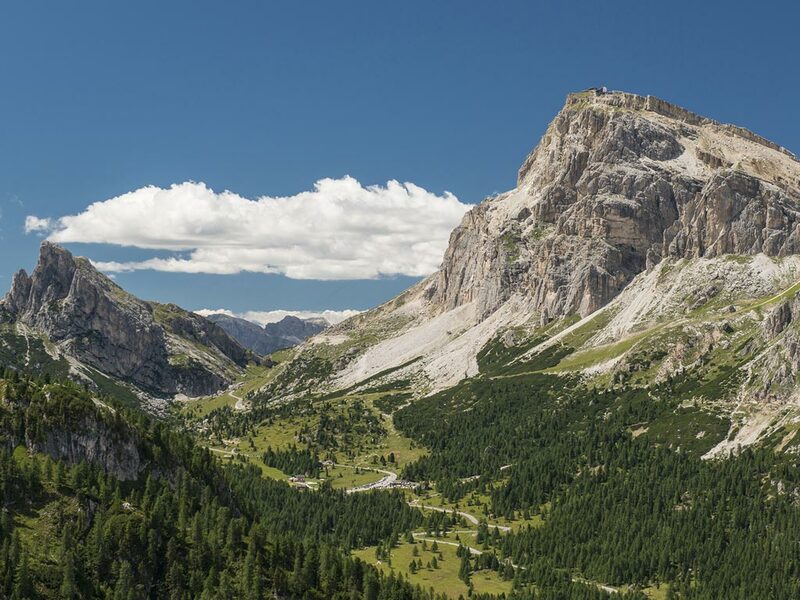 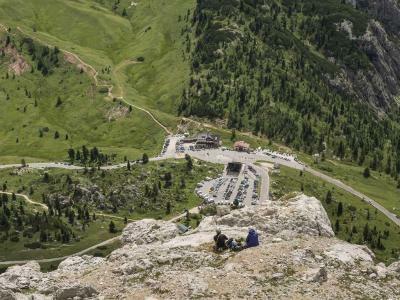 In the heart of the UNESCO World heritage site Dolomites, on the superb and legendary route „The Great Dolomite Road“, 17 km from Cortina d'Ampezzo and 12 Km from Val Badia, you can reach the Falzarego Pass. 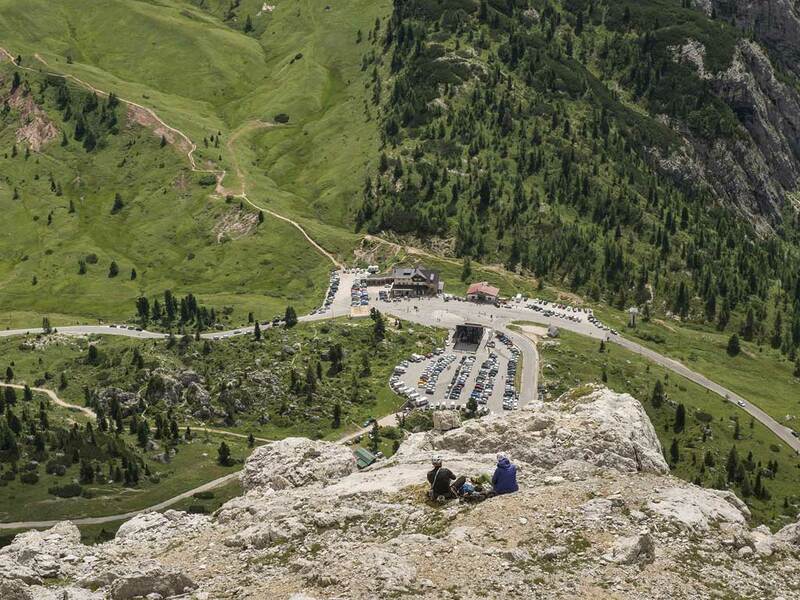 Directly at the pass there are a big free parking area, an information point and toilets. 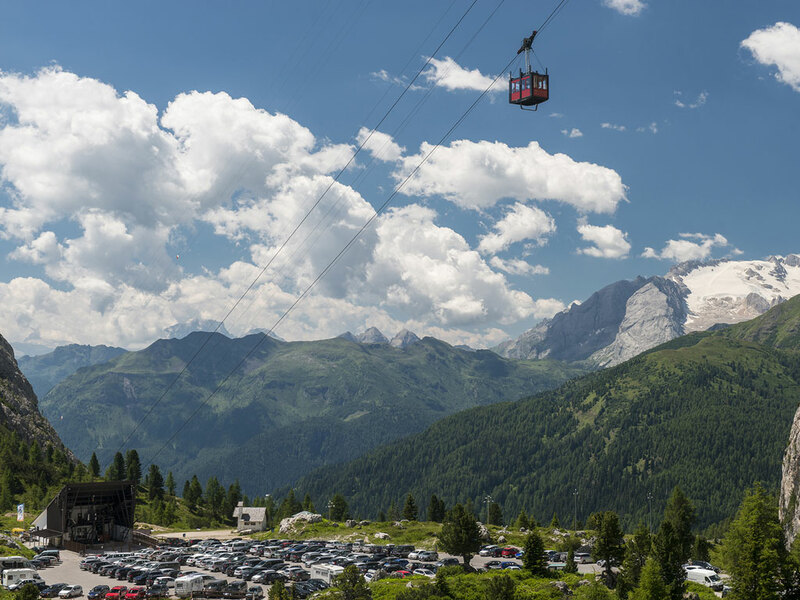 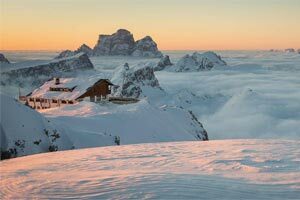 Directly from the Falzarego pass a gondola rises to mount LAGAZUOI and reaches the top at 2792 m in only 3 minutes. 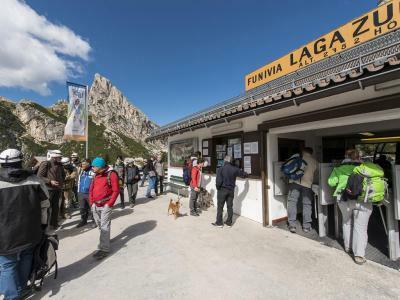 If you have the time, you might want to visit the OPEN AIR MUSEUM of the First World War with its restored tunnels, trenches and machine gun posts free of charge.